Taking a Disney cruise for the first time is an amazing experience. Unlike Disney park vacations with the hustle and bustle, a Disney cruise is completely relaxing. There is no rush to get a seat at the next parade and there are no long lines. Instead, a Disney cruise invites you to relax and soak in the magic. While relaxation is a major part of a cruise, a Disney cruise is far from boring. With so much to do and see, knowing tips for your first Disney Cruise can help ensure you don’t miss out on any of the fun. 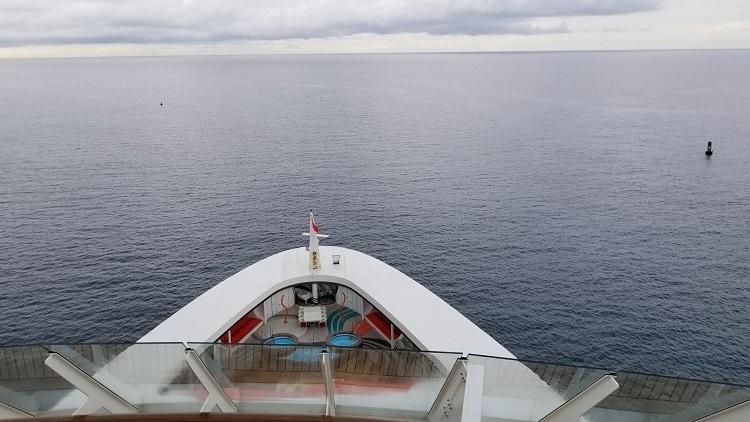 Your first Disney cruise is exciting and fun, but there are a few things you should know that will make you a pro before you go. My family’s first Disney cruise was one of the most magical experiences we’ve done. We’ve traveled to Disney parks on both sides of the country and are fairly proficient at the park experience. We know how to ride all of our favorite rides and where to eat at Disney resorts. We know how to manage our time through the crowds and how to avoid lines as much as possible. But we didn’t know that on a Disney cruise, things are a bit different. The magic is still there but the crowds are better managed. Let our experiences be your guide to relaxing like a pro with these tips for your first Disney cruise. 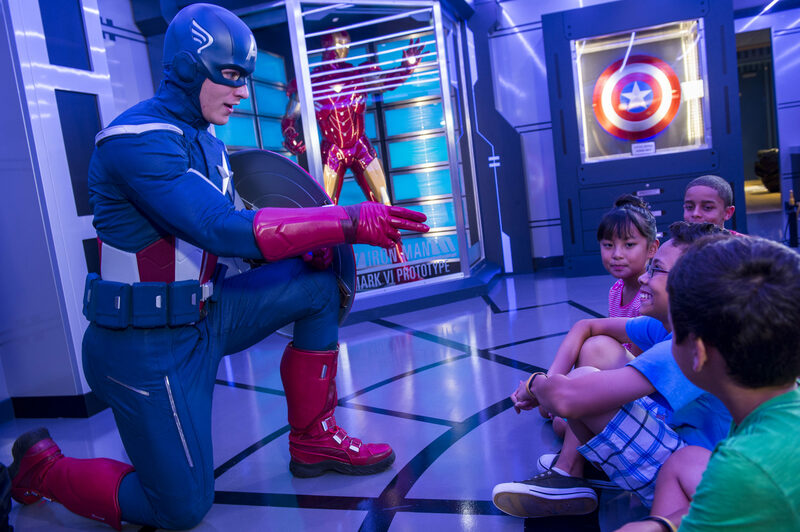 Many of us are familiar with the idea of prioritizing the fun during a Disney vacation. While a Disney cruise is much more relaxed, that doesn’t mean there isn’t plenty to do on and off the ship. In fact, there is a long list of things to do for every age group. Everyone in your travel group should come up with a list of things they want to do most. Each list should consist of three things that would make them content if those were the only three things they do. For example, a list could be to visit the spa, eat in one of the adult-only restaurants and dance the night away. These three things can easily be done, and that means you’re guaranteed to be happy. You can even make this list a fun part of the planning process. Sit down with everyone in your travel group before you go and make your lists together. Your ship will make port at different locations depending on which cruise you take. Our cruise went to the Bahamas and made port at Nassau. While Disney cruises are amazing, we knew we weren’t going to have the time to make another trip anytime soon. We decided we would take full advantage of our first Disney cruise by paying a bit more for an excursion during our stop. 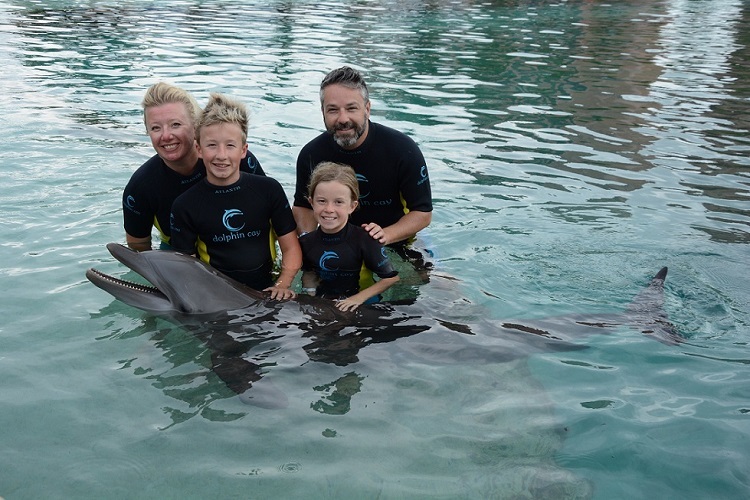 My daughter and I have always wanted to swim with dolphins, but due to animal rights issues, it’s hard to do it in the United States. Luckily for us, there was an excursion you could pay that gave you a full day trip to Atlantis Paradise Island Resort. During our trip to the resort, we experienced a full dolphin encounter. We even received full day passes to the resort. It’s important to take advantage of your trip as much as possible. Don’t be afraid to book a few extras and don’t let your stops pass you by without experiencing something while you have the opportunity. It’s important to take advantage of your trip as much as possible. Don’t be afraid to book a few extras and don’t let your stops pass you by without experiencing something while you have the opportunity. Another one of the stops our cruise made was at Castaway Cay. My son’s favorite book series is the Kingdom Keepers and he has wanted to visit the island ever since he was 8 years old. 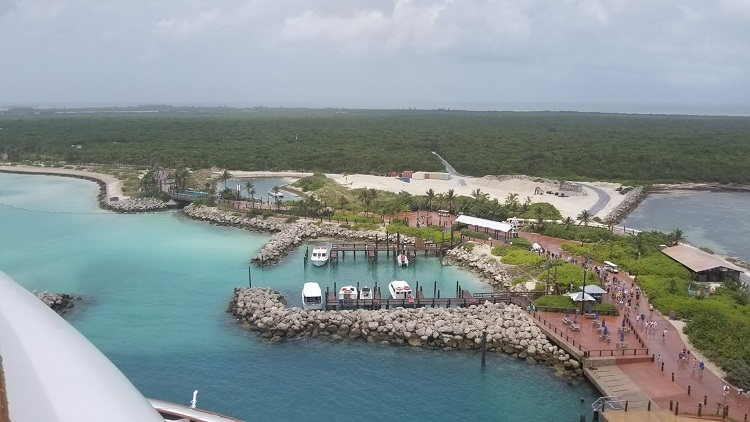 What better way to be a rock star travel planning mom than to book a cruise that stopped at Castaway Cay not once, but two different times? During our stops, we realized just how lucky we were to bring a day bag with us. Originally, the day bag was because we would be separated from our luggage while we boarded. However, the day bag came in handy during our stops. Everyone in our group had the ability to pack away a few essentials to bring with us off the ship. Just like a trip to a Disney park, people get thirsty on their first Disney cruise. Having a water bottle with you both on and off the ship is a great time saver. There is no need to run around the ship looking for water or to buy an overpriced bottle of water on an island if you have a water bottle. If everyone has their own water bottle that’s even better. There will be no need to ask for the random, I’m going to die of thirst, water while you’re having fun. Make sure the water bottles you bring are lightweight and easy to carry. The last thing you want is for someone in your group to be too bothered to carry their water bottle. Disney loves to make things easier for their guests during their trip and your first Disney cruise is the perfect example. Many different services offered make getting to and leaving the ship super easy. For example, at the end of your cruise, you can leave your luggage outside your door and cast members will pick them up and take them to the terminal so you don’t have to drag them around. This service also helps visitors enjoy their last breakfast without rolling their luggage into the restaurant. While convenient, we were out having fun and missed the luggage pick up time. This ended up being wonderful because we avoided some of the wait time at the terminal and saved time! That meant were able to call an Uber and get to our next stop, the Loews Sapphire Falls Resort.